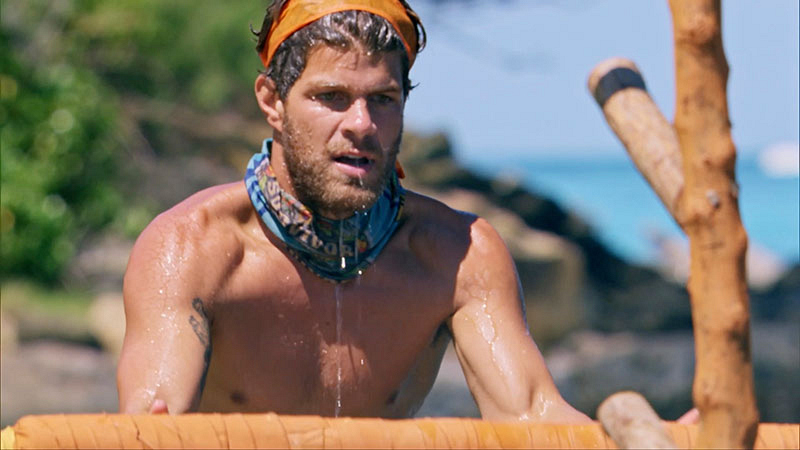 One of the latest cast-offs from Survivor: David vs. Goliath talks about staying positive in Fiji, preparing for the game, and where their alliance went sour. 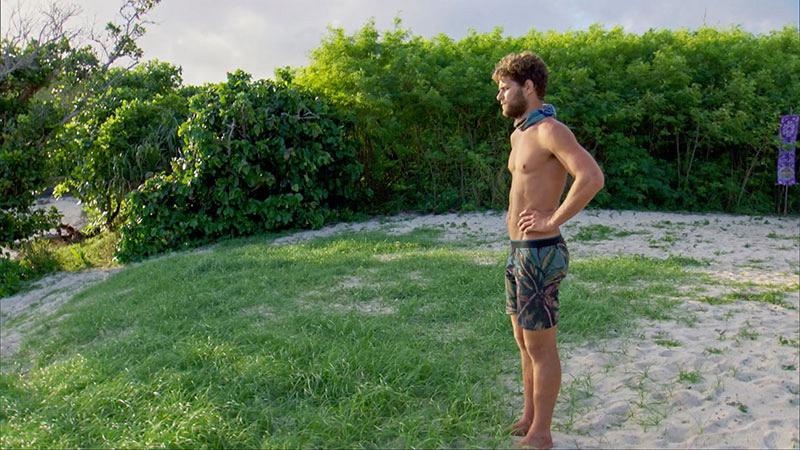 Between all the backstabbing, castaways trying to shift the target off themselves, and sneaking out of camp to find a hidden Immunity Idol, there is a lot to unpack from the latest episode of Survivor: David vs. Goliath. For the first time this season, the Davids managed to swing the power in their favor with the elimination of Alec Merlino—at least for a couple of days. 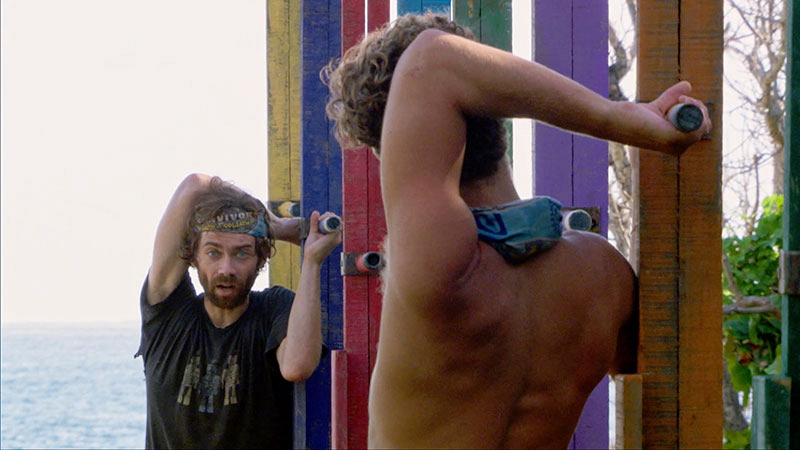 During an absolutely grueling Immunity Challenge that lasted over six hours (! 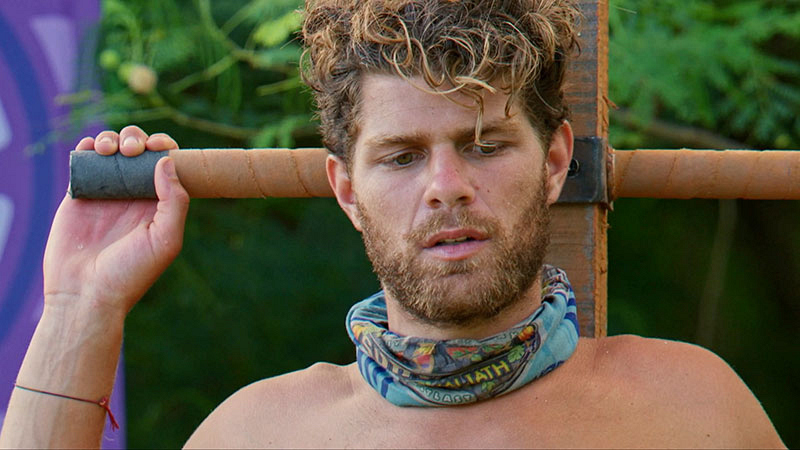 ), Alec lost an intense showdown with the chatty Christian, ultimately failing at the chance to win the Immunity Idol that could have saved his game. We caught up with the first cast-off of the episode to talk about his renewed perspective on life, how he managed to stay so positive all the time, and what he's up to now. The Goliaths seemed to be remaining strong for a majority of the game. Where do you think that alliance finally started to crack? Alec Merlino: The divide happened Day 1. [Laughs.] The Goliaths were all big personalities and you could see the divide Day 1. 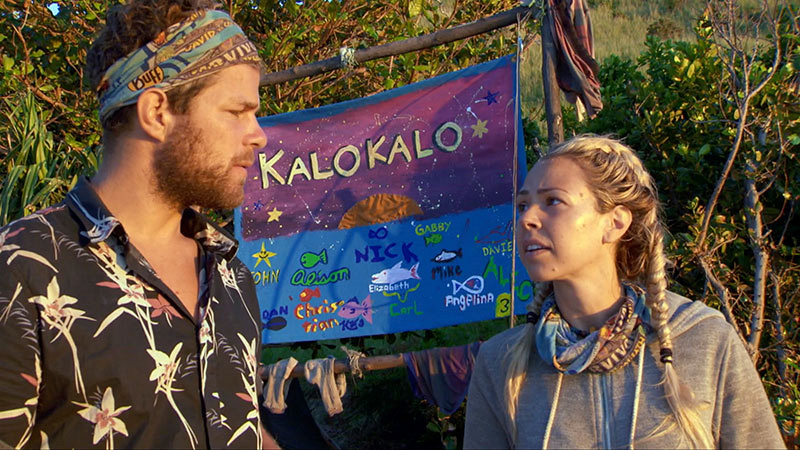 We had all our plans, and it was like we were running around trying to think about who to vote out and we hadn't even gone to [Tribal]. Fast forward, going into the Merge, the gameplay just ramps up. Me, personally, I had my ulterior motives, Alison had ulterior motives, so naturally, there was going to be a divide in alliances. You don't want to just stick with numbers because it's boring and you really want to play the field and form relationships elsewhere. We were dysfunctionally unified going into the Merge. You knew that Carl was throwing your name out before that last Tribal. What was your strategy to try and turn the vote in his direction? Alec: My strategy was just to try and paint him as a bigger threat and minimize my threat level by telling them, "Hey, look, Carl is acting super confident." I told Christian and Gabby, "Yo, you realize Carl is the one calling the shots, you don't know if you really are close to him. Gabby, you're not really getting along with him." I told them, "I'm with you 100 percent." The only problem was that it was hard when I'd written Christian's name down. So it was hard for them to really trust me, I think that gutted Christian a little bit. I was trying to explain to them that yeah, I might have been winning and a physical threat, but number one, that's good because I'm a meat shield for [them]. Number two, if I'm winning, [they're] on my side so we'd be winning together. That was kind of my pitch. It's all I really had to work with, so I was trying to utilize that. It didn't work, I fell short, but no worries. Alec: No. I own every part of my game. I don't wanna regret anything. I don't wanna look back on anything and think I could've done it differently. Because I'll just drive myself crazy. I'm proud of how I played. I went out there and I was like, "I just wanna be the good vibes. Positive. Give it my all in the challenges, give it my all socially." I enjoyed it, it was fun, and I'm just honored I got to be a part of such a thrilling experience. You mentioned this just now; it seems like you're a very positive person, particularly in your Ponderosa video. Is it hard to keep that sense of optimism out there, when you're so tired and hungry and all of that? Alec: Yeah, especially with the weather in the beginning. [Laughs.] 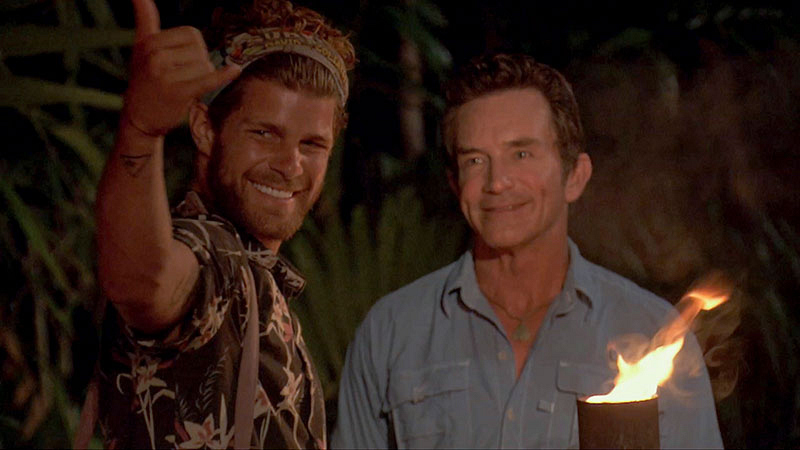 It's hard to wake up and throw everyone a shaka and be like "Wheeeee, we're on Survivor!" I knew going into it that positivity was a currency in the game. People like being around the positivity, they like being around people that are enjoyable to be around. So I tried to maintain that, but during the weather, I'd just get quiet. I was just like, "Dude, this is brutal." But we all were. It was so intense. I really did try my hardest to stay positive. Speaking of competing, you had a very strong showing in most of the challenges you competed in. Are there any that stand out as the most difficult? Alec: The perch, for sure, with Christian. My final Immunity Challenge. I've never done something so mentally exhausting. It was crazy. The editors do such a good job at really capturing how hard it was. Everyone cried at one point. You're standing up there on this tiny perch, your heels are dead because it's only two inches. It's crazy how small that [perch] is for your heels. And then your arms are up by your head, stretched out, your back is hurting. You get up there for four hours and then it just becomes a mind game in your own head. And then on top of that, Christian was talking the whole time. He got inside my head, but he freakin' beasted it. Slayed it. And I stepped off, dude. He got me. You know it's funny, looking back on your bio, we just had to laugh considering one of your pet peeves was people who exaggerate during a story. Alec: [Laughs.] He and I were so far apart from each other, I was on one end and he was all the way by Jeff. And it was more like I could just hear him in my ears and I was like, "Oh my gosh." But good on him. He was able to just talk and take his mind off the pain he was going through and the agony and win. So I mean, good for him, it was gnarly. I wish I had told stories or just talked to him or something. Had you done anything to prepare for the physical or mental sides of the game before going in? Alec: No, I didn't want to overthink it too much. I've watched enough Survivor to know what my assets were and what my strengths and weaknesses were, and what I was going to do for myself. I knew I'd be good at the challenges, I knew I'd be decent. I'm pretty athletic I guess, I'm always surfing or skating or biking, I do a fair amount of working out and running and stuff. So I think I'm good in that a department. I've watched enough Survivor to know that it's all social politics at the end of the day. I just didn't want to overthink it. My mentality was like go in, good vibes, be positive, and just be [yourself]. Don't try to emulate someone's game so much where you're just copying them and not being authentic. I just wanted to be real and go in there and have a good time. 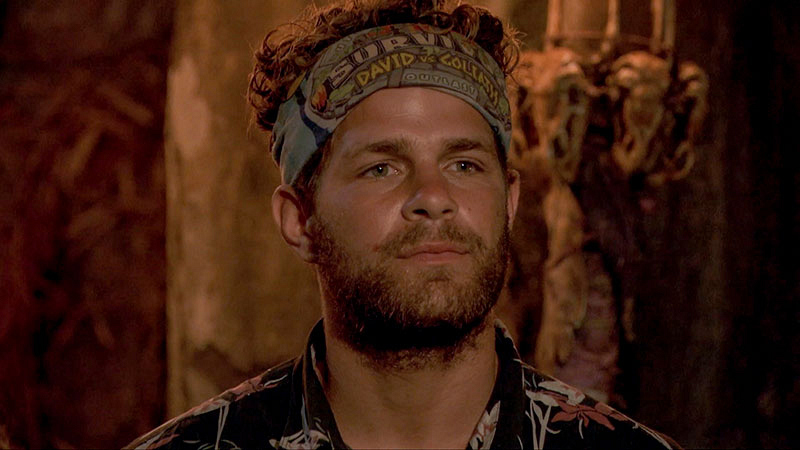 So as a fan of Survivor, how did your expectations match up with the reality of being out there? Alec: Oh, it exceeds. It's insane. It's the most thrilling experience and the most fun, exciting, nerve-wracking thing you've ever done in your life. 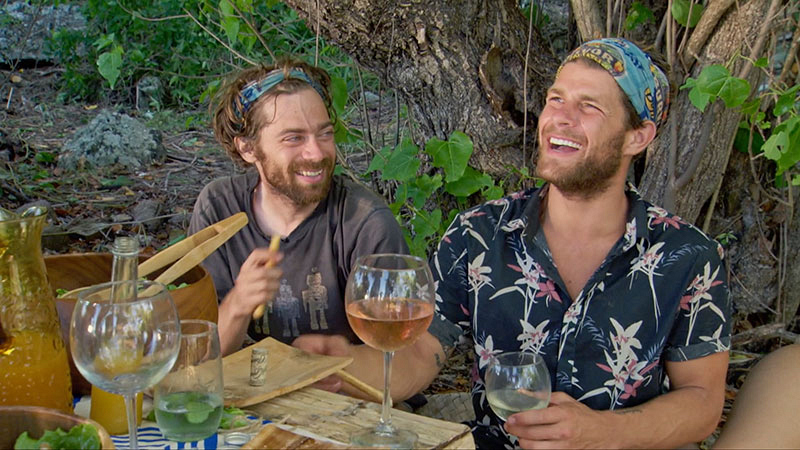 To be on an island with people, and there are so many good times, and then to add in the chaos and the fact that you get to hang out with Jeff everyday, it's insane. You close your eyes every night in the bamboo shelter and I would always pull my buff over my face and look up and be like, "Dude, this is insane right now. I'm playing Survivor." And then I'd go to bed. Dude, it's insane. Alec: I learned two things, dude. Number one, through all the storms and just the misery we had to endure, a lot of us said, "This is so insane to think about." We're out here, we have nothing. No connection with anyone. And you realize you need a little bit of food, a little bit of water to live. And everything else becomes a luxury. After like 12 days, I remember I had dry socks to put on and I was like, "Oh my God. Dude, I'm so stoked right now. Dry socks, bro!" You realize what really is important in life. People, your family, having people around who you can love and laugh with. That's something you get when you're on the island because you're like, "Dude, I'm stoked to be here right now with people I can laugh with." We had a lot of good times out there. So there was that, and then number two would probably from the final Immunity Challenge. Me quitting, in that moment, it sucked. 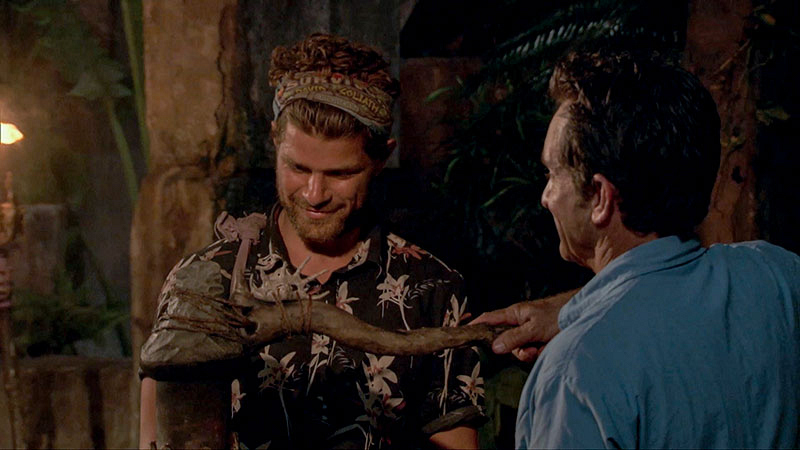 But I always think about that and there's always a silver lining, and I said to myself time and time again, Survivor shows you what you really are capable of and how far you can push yourself. It kind of transferred into my life and I'm like, "Dude, don't give up. You can do anything." It inspired me to go after my dreams and start this clothing company, Head and Heart, that I've started. I'm stoked Christian won and I'm stoked he got me to step off because it pushed me to never quit and get after it.